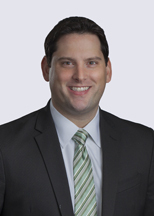 Steve Migliore is a partner in the Corporate department and a member of the firm’s Private Equity, Finance, Commercial Transactions and Venture Capital practice groups. He has extensive experience representing private equity firms, family offices, venture capital funds, founders, and independent sponsors in connection with their acquisitions, divestitures, equity raises, investments, joint ventures, restructurings, and other complex business transactions. He also represents issuers, borrowers, investors, platforms, and sponsors in connection with asset based financings, securitizations, master repurchase and warehouse facilities, marketplace (P2P) lending and merchant capital advance programs. During his career, Steve has handled more than 125 merger, acquisition, recapitalization, investment, and financing transactions in a diverse array of industry sectors with transactions and investments ranging from a few million dollars to in excess of $500 million and financings ranging from $10 million to in excess of $2 billion. Honigman featured in Law 360 article, "2 Firms Steer Rockbridge’s $355M Continuation, New PE Fund"